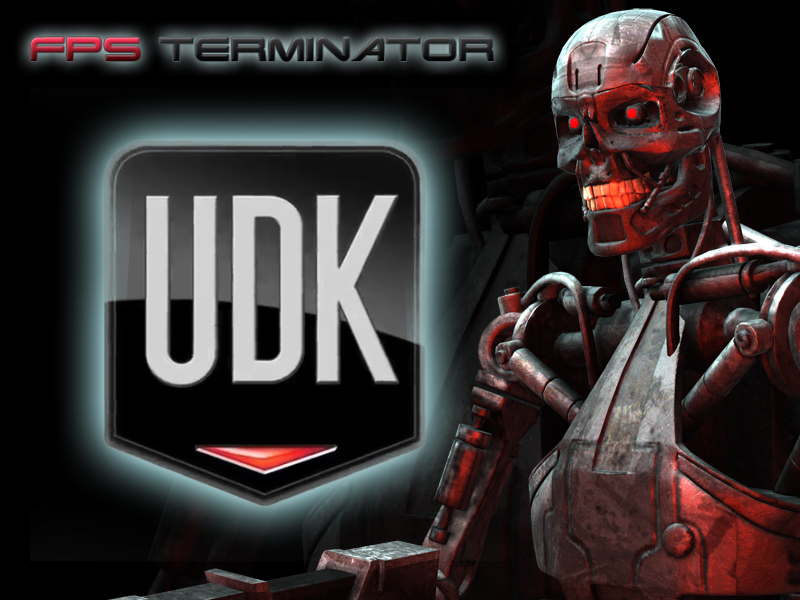 Remember my articles in the past that I stated fps terminator would never be on UDK? well I seem to have a great epiphany this last week. I was able to overcome the obstacle of learning unrealscript on an beginner-intermediate level, and all my core mechanics are now being built over the UT3 source code. But this change means the next alpha release might be altered. I don't quite remember how it started, but what was just playing around in UDK somehow lead to conclusion to put fps terminator on UDK. UDK (which is a no brainer) is far more advanced than gears opening more possibilities. What seemed like to be an unreasonable goal now doesn't seem so far away. It's an incredibly exciting feeling of satisfaction to be able to do what was thought impossible. Learning new things about Unrealscript was actually quite fun, which wasn't what I expected. I still don't consider myself a programmer. I'm only learning and using enough unrealscript to do things if it can't be done with kismet. Just to make things clear, I'm not really porting the mod. I'm rebuilding it for a different platform. that means I need to recreate all of my mechanics including the ones pre-made in gears of war. At the moment, the only mechanics I have are still pretty basic. Currently I am working on the aiming, sprinting, reloading and melee functions before I move on to the more complex stuff like the enemies, allies and their behavior. All this going back to the drawing board may once again possibly delay the next alpha release. but I think it will be worth it. the mod will be more successful in the long run for I can expose this project to a wider audience. I really have to thank the moddb community for encouraging me to change lanes towards my goal, and with the power of the more advanced build of the unreal engine 3, I believe the potential for this project has dramatically increased. I thank you moddb so please thank me back.